The following is an interview with president and TeaEO of Tea Nation USA, Kayla Taylor. 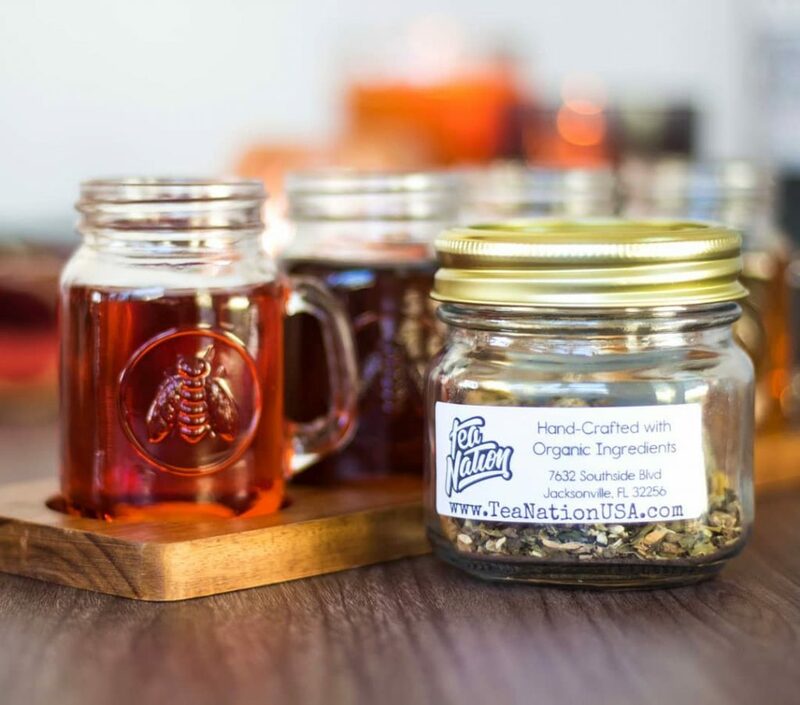 What is Tea Nation and how did you get started? At Tea Nation, we are on a mission to make natural healing mainstream by helping health-conscious individuals take control of their well-being. We take pride in our quality and consistency with our handcrafted organic tea blends, each expertly designed by a Nutritional Therapist. And our small-batch production gives our clients peace-of mind that the healing benefits will be consistent in each cup of our wellness teas. Personally, I have been blending my own teas since I was a teenager. I was instructed to try milk thistle tea to help with some health issues I was having, but I didn’t like the taste. 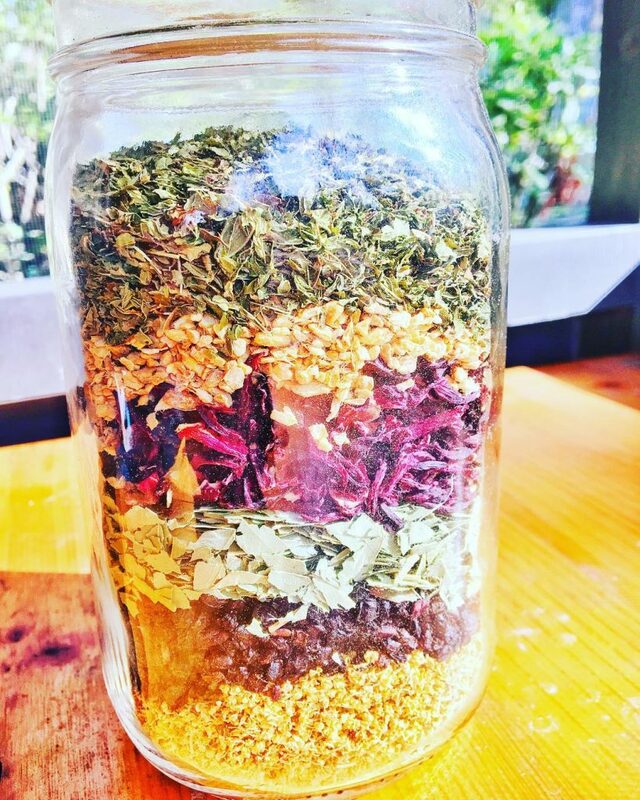 I ended up blending it with some of my other teas to make it more palatable and this got me started on my journey to learn everything I could about teas and herbalism. This is also why I strive to develop healing blends that taste good, because if you don’t like the taste, you won’t drink it, and you won’t feel better! In my early twenties, I had heart surgery. Post-surgery, I was told that I’d have to be on medication for the rest of my life to manage my condition; that medication made me sicker than my disease. Out of desperation, I went to a holistic healing center in New York, where I am from, and that decision literally saved my life. I learned about an array of healing modalities which ultimately allowed me to discontinue that medication. I decided that I wanted to help others heal in the same way that I had experienced at that holistic center. I transitioned from my career as an English Professor and became a certified Nutritional Therapist and Reiki Master. I effectively turned my condition into a mission to help others heal. When my husband and I relocated to Tallahassee, FL in 2016, I opened my wellness center, Way of Life Wellness and started to look into business opportunities that would allow me to sell a wellness product at local markets as a means to drive business into my center; however, I struggled to find a product that truly resonated with me. Then one evening, I had a dream that I was making my healing teas for the masses. I woke up the next morning and decided I was going to go for it. And that is how Tea Nation was born. 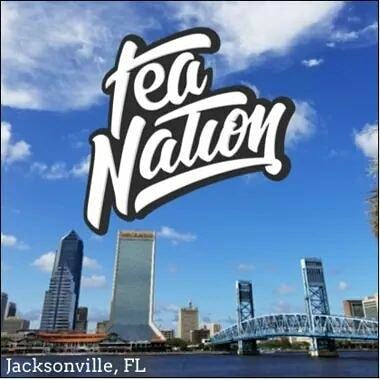 How long has Tea Nation been in Jax? 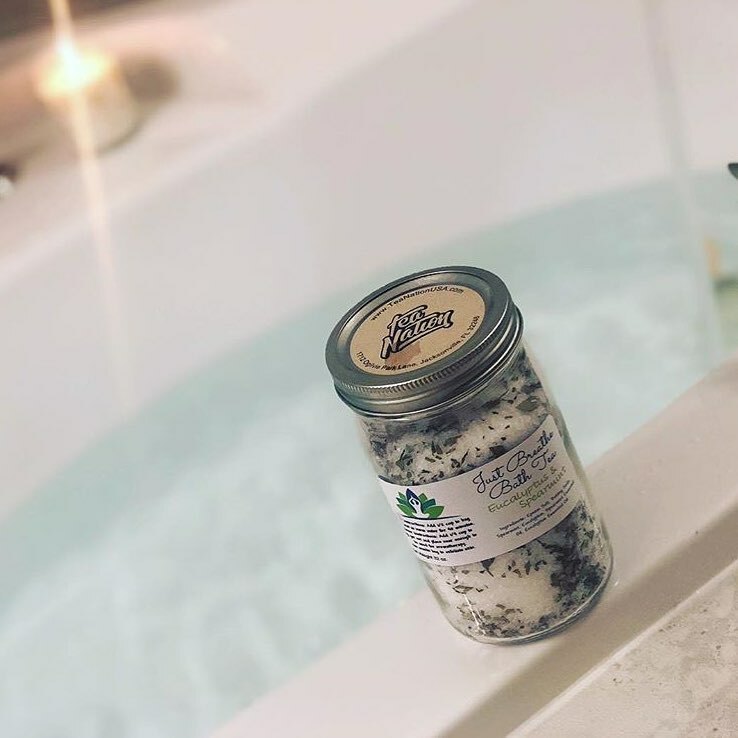 After realizing that my little tea company was growing into a major business with greater potential than I had imagined, I knew that I needed to move to a bigger city to pursue more potential for growth. My husband, Sam joined the business with me full-time and we chose to relocate to Jacksonville in March of 2017. We re-branded from Way of Life Wellness and chose to shift our focus to be a stand-alone tea company in May of 2017 when we officially became Tea Nation. What made you bring Tea Nation here? When we were researching cities to move to, we narrowed it down to Asheville, NC and Jacksonville. Asheville, NC has a well-developed holistic community, which we liked, but we would have been a small fish in a big pond had we moved there. What we loved about Jacksonville is that it is a major medical hub with a rapidly growing community and we were attracted to the idea of being able to help shape the future of this developing city. Our company mission is to make natural healing mainstream and we were intrigued by the opportunity to offer an alternative healing modality in a community where people are focused on their health. Additionally, I was attracted to how Jacksonville is segmented into communities, much like New York City where I grew up, because it would give us an opportunity to tap into multiple markets within the same city. What has been most surprising about running a small business in the River City? In running a small business here in Jacksonville, we were most surprised by just how small business friendly this city is. The people here are genuinely loyal to local brands which is uncommon for big cities. We’ve found that local residents have a sense of pride in this city that is contagious. Our customers are not the only ones who we’ve found are dedicated to helping us grow as a brand. Other small businesses – even if they’re competitors – are genuinely happy to help other local brands grow. One of our favorite things to do as a business is to collaborate with other local small businesses. 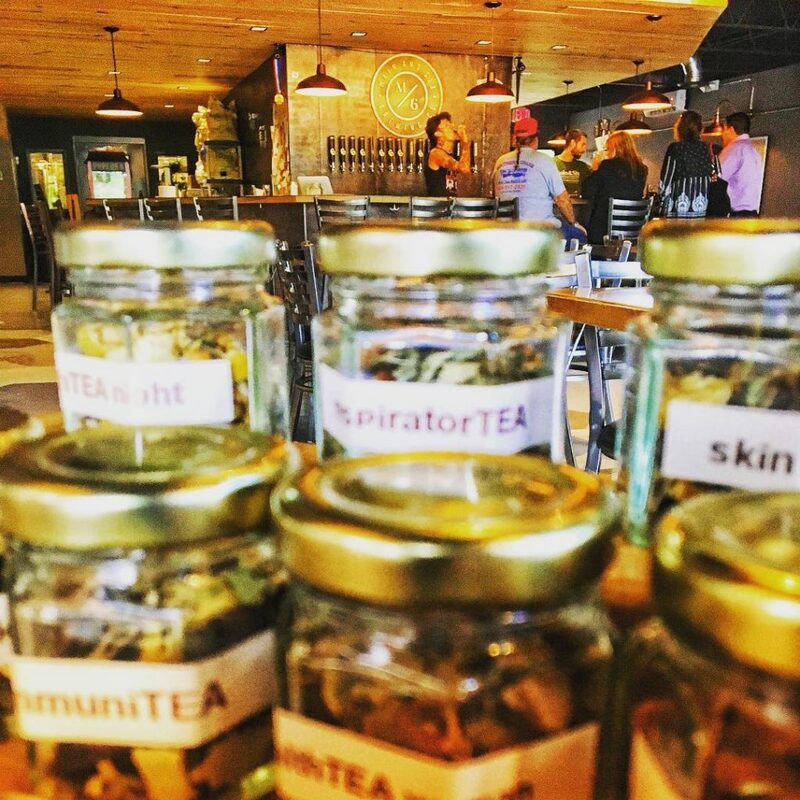 For example, Wicked Barley brewed a beer, mead, and cider with our teas and Nicole Made This used our teas to make lotions and soaps. How can people who are newer to wellness teas decide what teas they might want? Our business model involves being direct-to-consumer because a big part of what we do is help guide people on their wellness journeys as they take control of their health. We specialize in customizations because our end goal is to help make people better. We don’t believe in overselling, for the sake of a profit; we strive to offer our customers exactly what they need. All of our healing blends are puns which tell you exactly what they’re good for, making it easy to find what you need. While our teas can be chosen to address individual symptoms, we recommend having a conversation with us to help narrow down the symptoms to target the source of the issue. What are the most popular teas or products with your customers? With over 75 different blends, it’s hard to narrow them down! A large portion of our society suffers from muscle or joint pain, inflammation, sleeping issues, fatigue, and stress. As a result, I’d have to say that our teas for those conditions are our most popular; specifically, our anTEA-inflammatory, nighTEA night, enerTEA, tranquiliTEA, and anxieTEA blends. In addition to our healing teas, we also have our SpecialTEAs which are developed for flavor, but still have healing benefits. Out of those, our bestsellers are our Berry Mojito – a berry and mint green tea, Liquid Sunshine – a citrus, ginger black tea, and Secret Garden – a floral jasmine green tea. My husband’s and my #1 favorite healing blend is our immuniTEA which is an herbal blend to help boost the immune system. I’ve had a compromised immune system my entire life. I would get sick four times a year, but since developing this tea I have not gotten sick once…a small miracle. I also love our allerTEAs blend – which keeps me sane during the change of seasons! My favorite SpecialTEA blend is Refreshmint Green which is a mint green tea with lemon verbena. Sam loves longeviTEA chai which is an anti-aging earl grey chai and our weighTEA green – a spiced hibiscus green tea that helps reduce bloating, slow down fat absorption, and boost your metabolism. Where can people find Tea Nation? We are an event and web based company. We, along with our five employees, work at least seven events per week – all of which can be found under the events tab on our Facebook page. Online orders can be placed on our website for shipment anywhere in the country. We are constantly expanding our retail partners. Right now, you can find our products on the shelves of King St. Co-Op at The Studios, Handmade in Jax General Store at Great American Antique Mall, Made in Jax at the airport, Triskele Cove in the Avenues Mall, Duval Mercantile, Belly Bean Maternity in Yulee, Skin & Body Center in St. Augustine, and our Chakra Tea line can be found at Soulshine Reiki in Amelia Island. Any future plans for Tea Nation that you can divulge? We are currently exploring the logistics of opening a truly unique tea bar with a twist that will be unlike anything this city has encountered before. Anything else you want people to know about Tea Nation? We are now offering a water soluble CBD that can be added to our teas! This addition supercharges the healing properties of our wellness teas. I’m on the board of the First Coast Holistic Alliance, an organization that is dedicated to raising the holistic vibration in the Jacksonville community. The notion of wide-spread wellness is very much a personal mission and a mission of Tea Nation. As a company, we are determined to help people take control of their health. Tagged foodie news, Healthy, interview. Bookmark the permalink.